Marlen Vazquez was born in Jalisco, Mexico. In pursuit of the ‘American Dream’ she and her family moved to the U.S. when she was just a year old. She is a member of the first generation DACA recipients in Arizona. 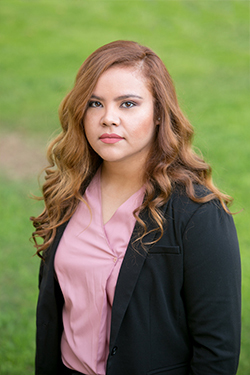 Marlen started as an intern at the Adelayo Law Firm, PLLC before eventually becoming a member of the firm. In addition to assisting clients at the firm, Marlen is also the office manager. Marlen’s passion for impacting people’s lives is what motivates her work. She greatly appreciates the opportunity to contribute to her community. Marlen is fluent Spanish speaker. In her spare time enjoys playing soccer and traveling.